The generation gap between millennial parents and post-millennial kids has made parenting even more challenging. In this digital age, our children get their hands on smartphones at a very early age. Mobile phones can be hazardous tool for children if not used appropriately and responsibly.Parents are needed to supervise the mobile phone use of their children to protect them from the potential dangers of mobile phones. There are parental control apps that enable parents to keep track of cell phone activities of their children. 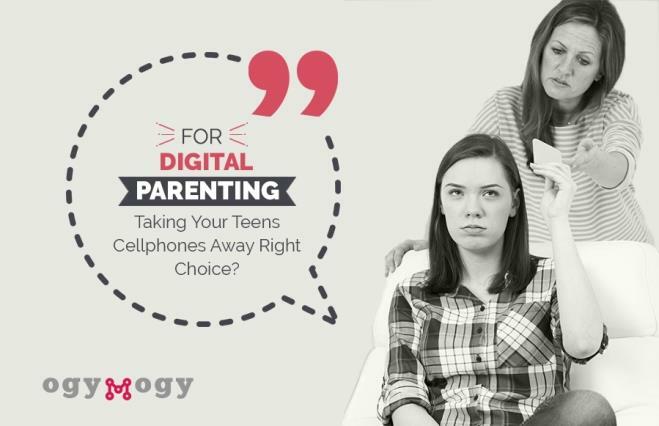 We have reviewed the most powerful mobile parental control app OgyMogy that is intended for non-tech savvy parents. The mobile phone parental control and monitoring app enables parents to remotely monitor and control the smartphones of their children. Once you install the app on the mobile phone of your kid, which must be compatible to the parental control app, you can remotely operate and monitor it via online portal. The online control panel of OgyMogy mobile parental control app lets you see almost all activities performed on the monitored smartphone. It helps prevent children from cyber bullying, sexting, online child predationand other vulnerabilities. What Parental Control App Lets You Do? The wide range of features offered by the most advanced cell phone monitoring app and parental control app lets you perform several actions by monitoring and controlling the targeted smartphone. Read on to know how this app helps protect your children from the potential online and offline dangers. If you want to see what your kid is doing on his smartphone in real-time, you can send a command of screen recording via online control panel of OgyMogy. It will record whatsoever appears on the screen of the monitored phone to let you witness all cell phone activities performed. The app also offers screenshots to capture cell phone activities with a certain interval. Social media plays a significant role in our teens’ lives. They spend almost nine hours a day using social media apps and instant messengers. The parental control app lets you track commonly used social media and communication apps such as Facebook, Instagram, Snapchat, Skype, WhatsApp, Line and IMO. It also allows tracking dangerous dating apps like Tinder. The parental control app lets you read chats, posts and all social media activities of your children. It helps prevent kids from cyber bullies, online predators, sexting, self-harm activities and other online crimes. The cell phone monitoring app lets you analyze and manage the internet usage of your children. It gets access to the internet browsing history of monitored mobile phones to let parents know which websites their kids visit and how frequently. OgyMogy is a powerful mobile parental control app which also allows keeping a check on the real-life activities of children. It allows controlling cameras and microphone of the monitored cell phone to take photos and make videos of the surroundings. The non-tech savvy parents can read online and offline chats of their children right from the online control panel of the parental control app.The app creates online backup of all incoming and outgoing text messages, multimedia messages and instant messages. Also, it records all inward and outward phone calls to let parents listen to the phone calls of their children. The parental control app lets you see which photos and videos your kids have stored on their phones. It includes media captured from the targeted phone, downloaded from the internet or received from any other source. Do you know whom your kids are in contact with? The mobile parental control app enables non-tech savvy parents to access and manage the contact list of their children. They see name, phone numberand other relevant detail of these contacts right on the online control panel. The monitoring app lets you protect the mobile phone data of your kids in case of loss or theft. You can lock the monitored phone right from the online control panel and can unlock it as well. 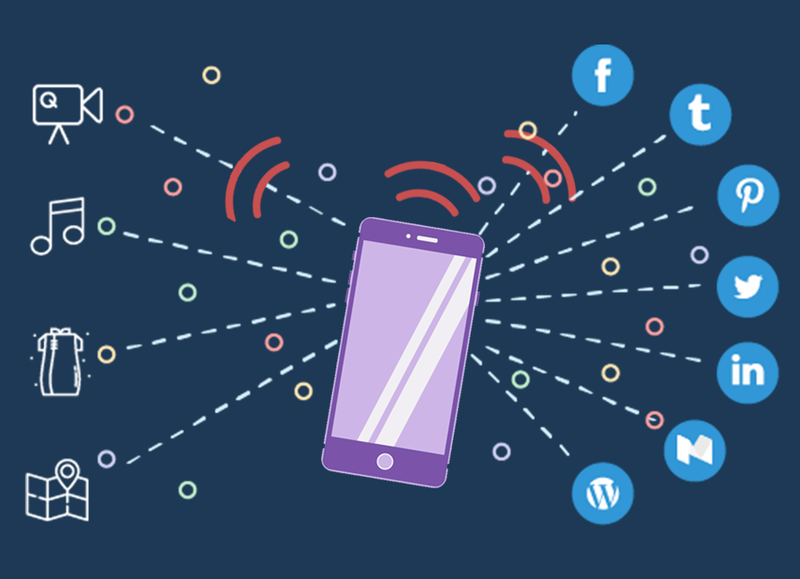 The mobile phone tracking app and parental control app lets you block, uninstall or unblock applications installed on the cell phone of your kids. It helps prevent your kids from using age-inappropriate gaming or social media apps.